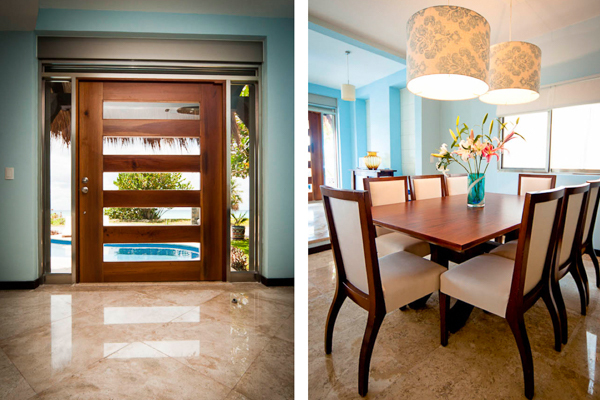 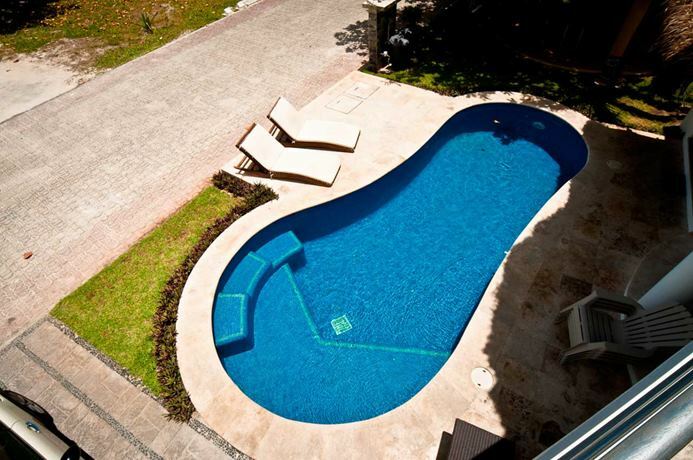 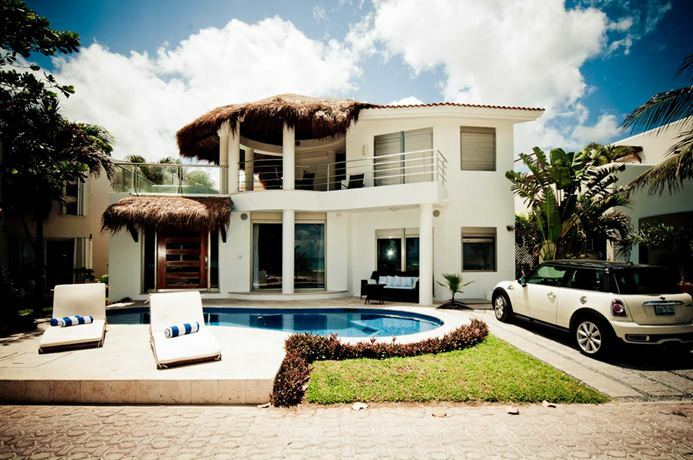 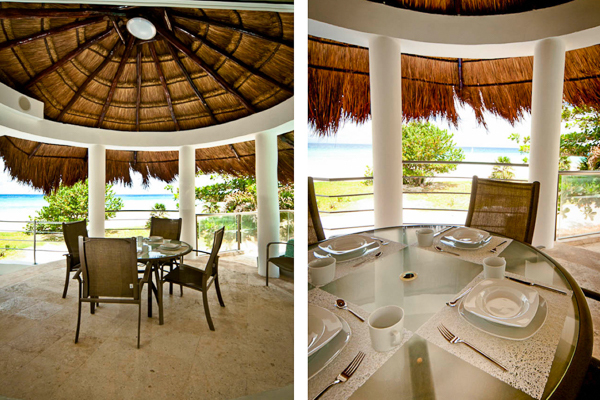 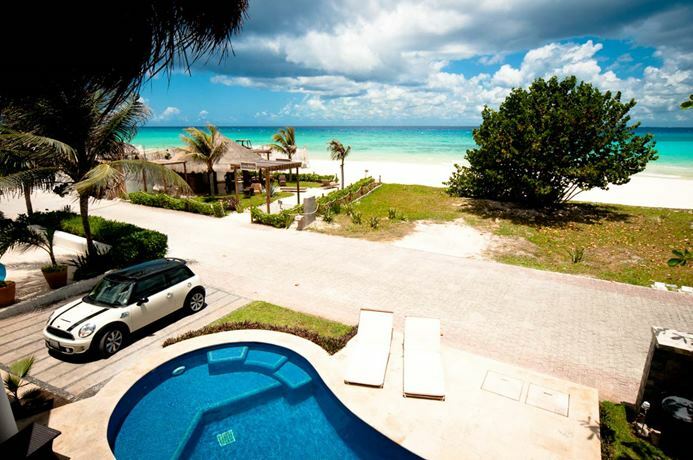 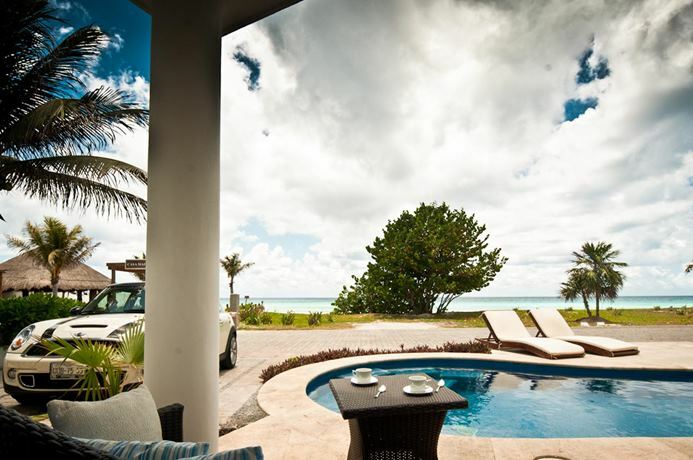 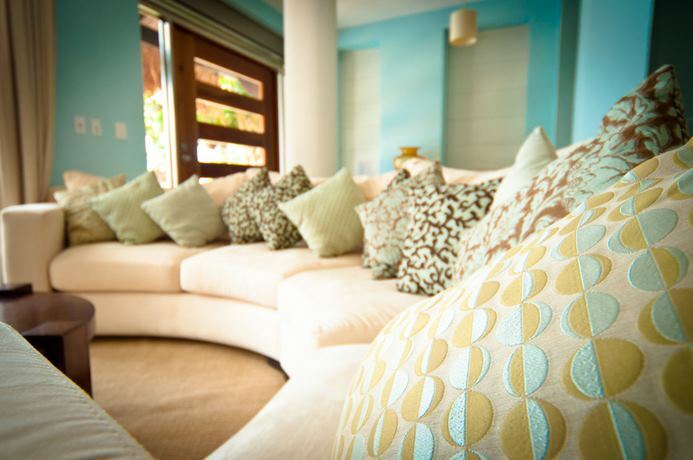 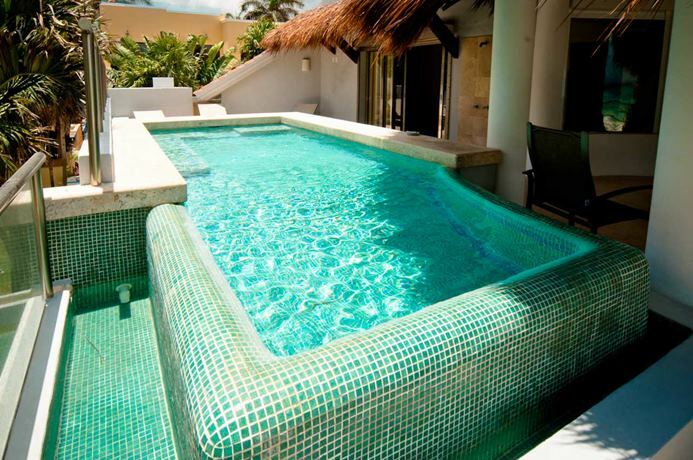 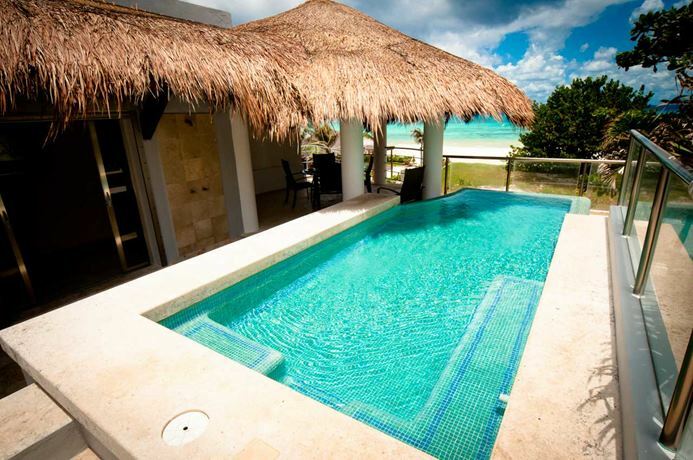 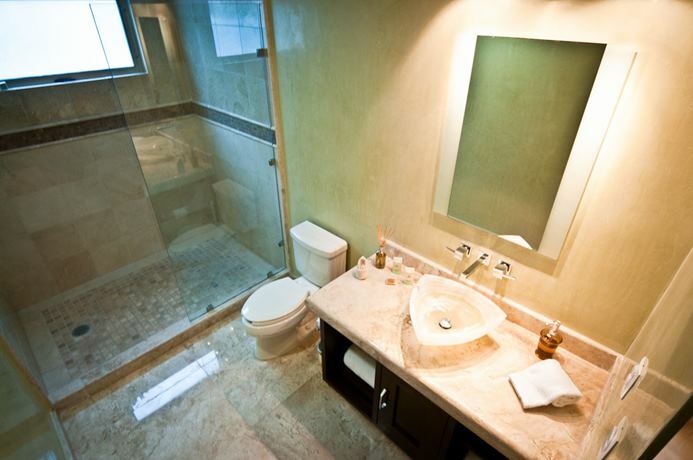 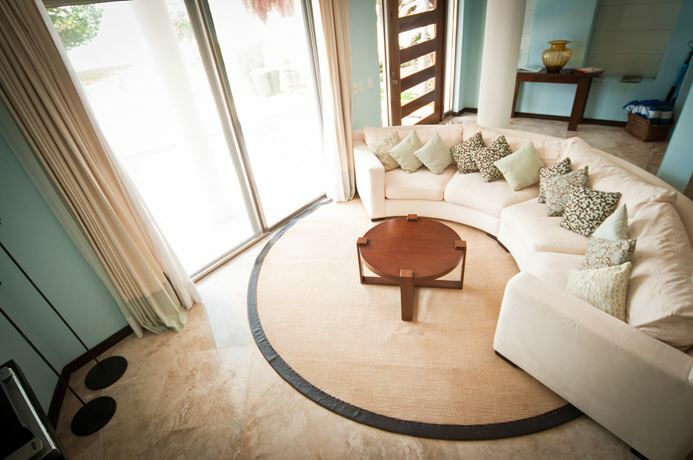 Charming and luxury living, creative design, private swimming pool, direct access to the beach. 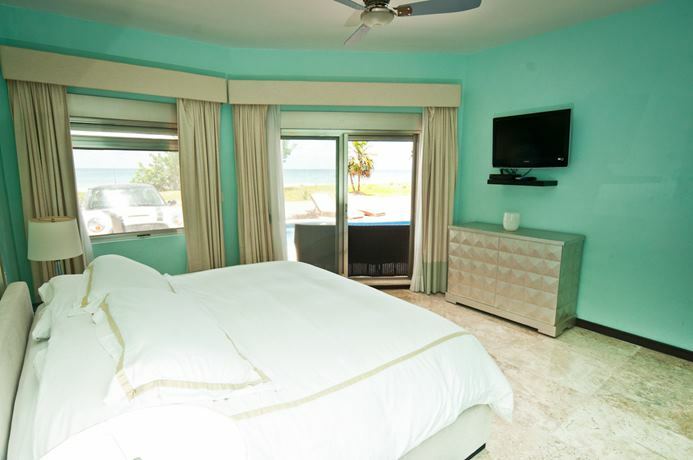 The junior suite with ocean view has access to the beach and pool and has a king size bed, walk-in closet, A/C, fan, and flat screen TV. 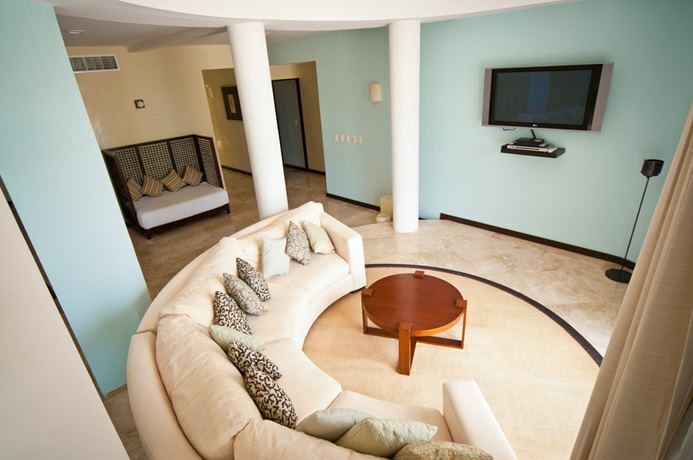 Other features include air-conditioned living room, round shaped furniture, 42" plasma screen and surround stereo system. 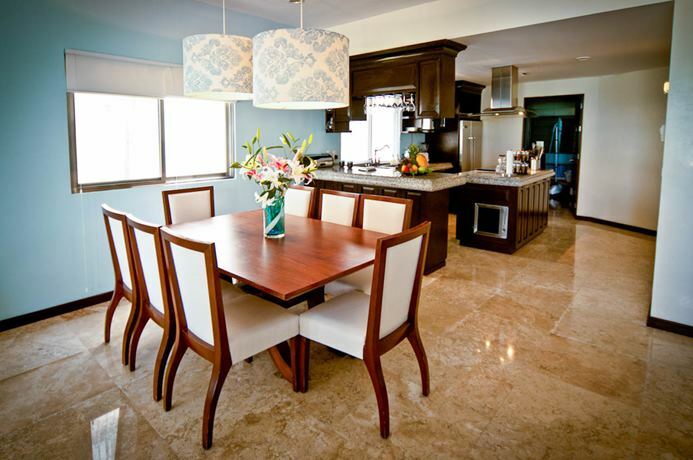 In the dining room you will find designer lighting, fully equipped kitchen with granite counters, island with wine cooler, large cabinets, Viking fridge, laundry room and more. 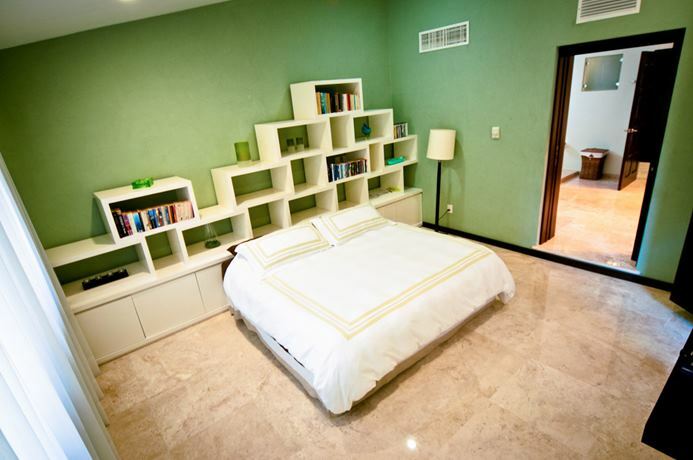 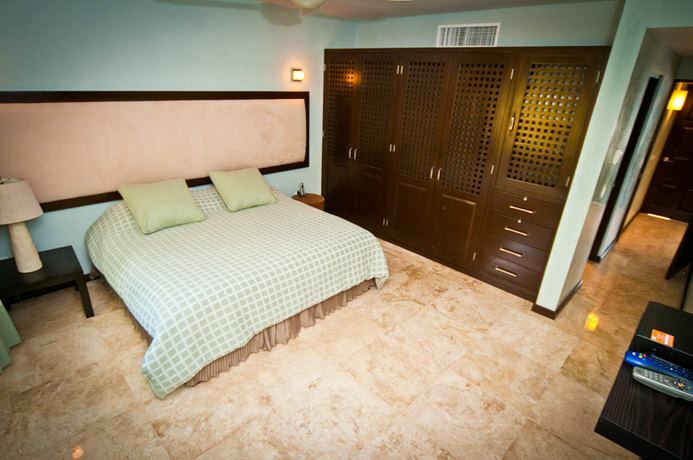 A third bedroom features twin beds, fan, A/C, flat screen TV, closet and full bathroom. 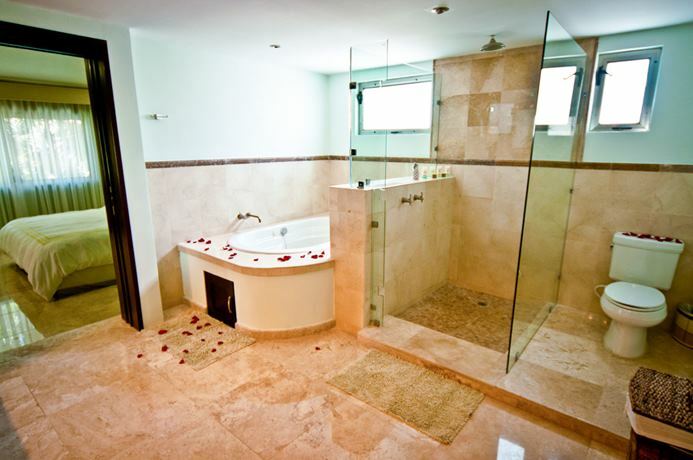 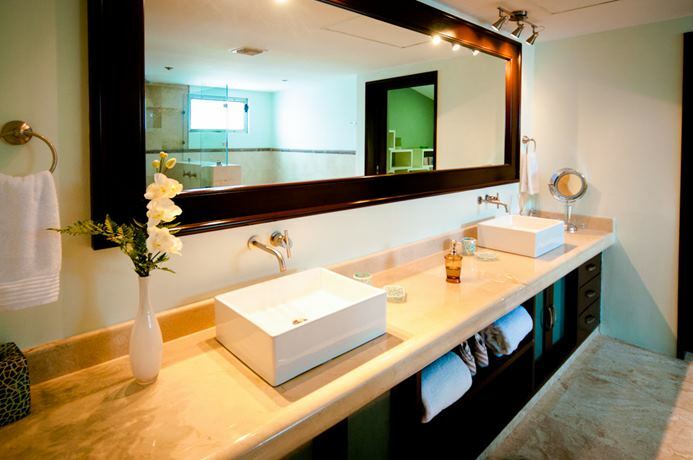 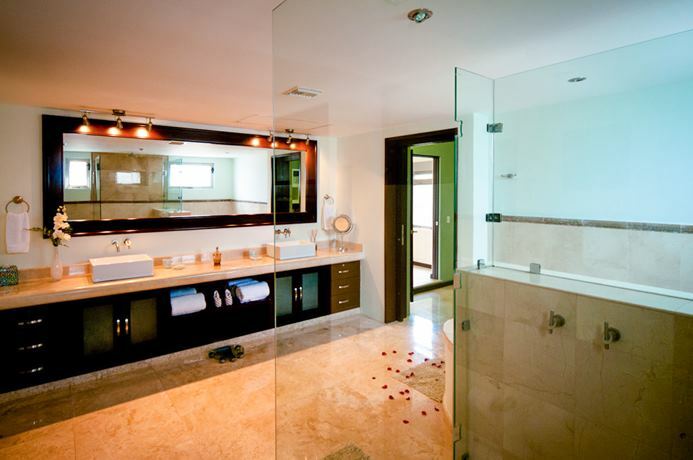 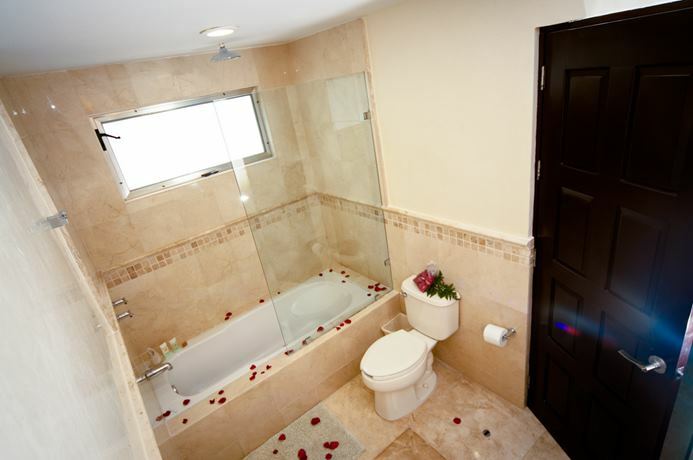 On the upper floor you can enjoy the marvelous master bedroom with a lovely his/her bathroom, walk-in closet made out of Mahogany, lounge, Jacuzzi bathtub, A/C, fan, flat screen TV, satellite dish, terrace covered with a large palapa and infinity pool. 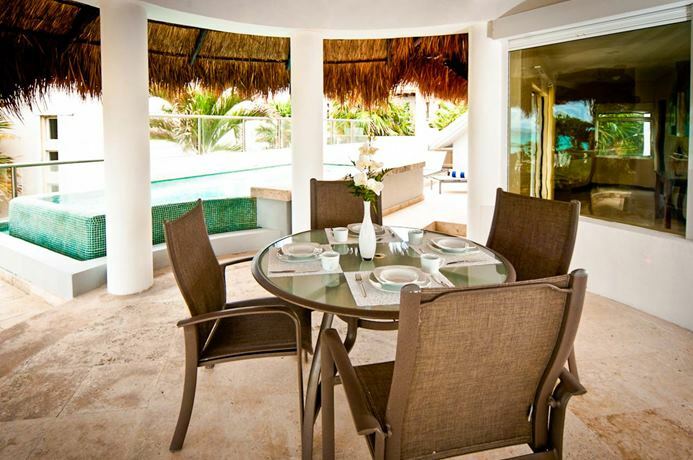 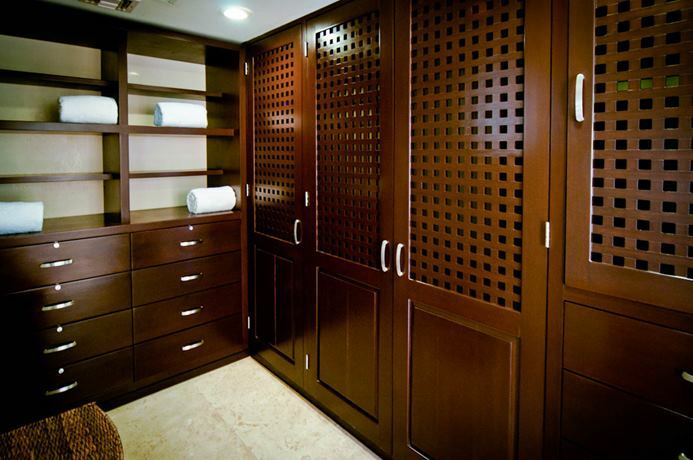 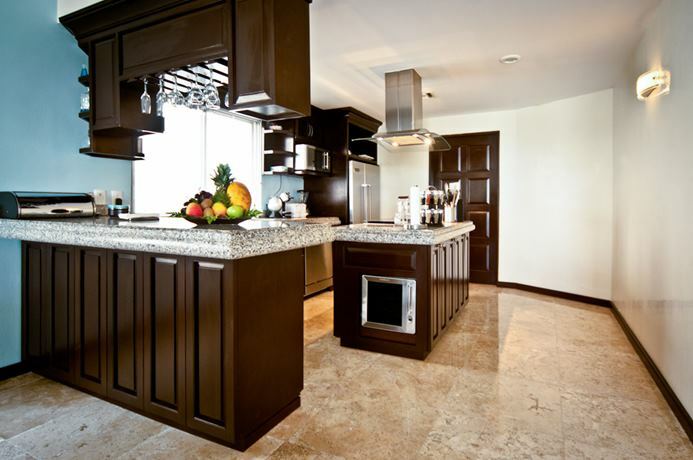 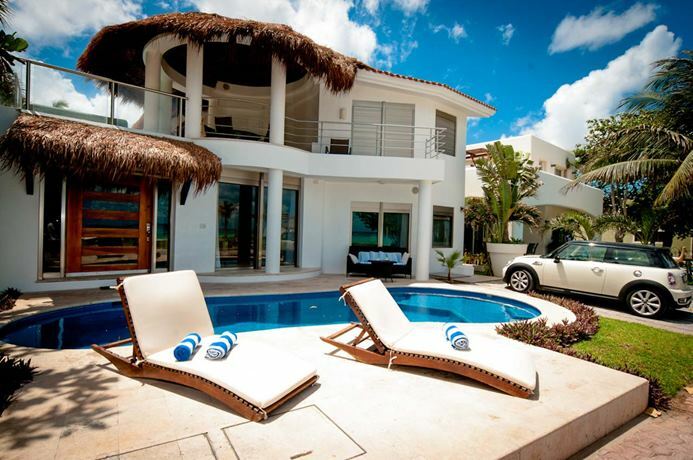 Villa Turquesa features the highest quality furnishings and is entirely equipped with linens, china, art work, and everything else you would need to begin your vacation or long term stay including oversized doors, custom fixtures, professional window coverings, Bose home theater system and speakers. 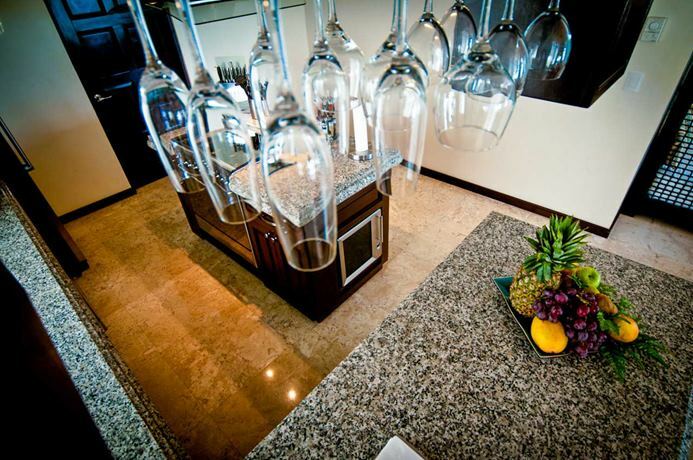 Please Note: Security deposit required. 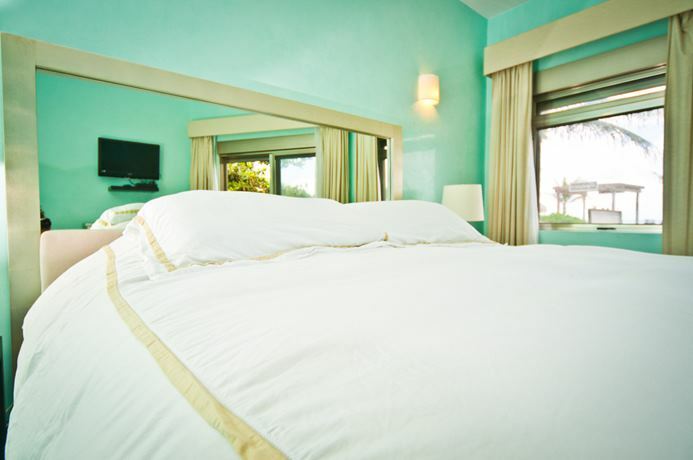 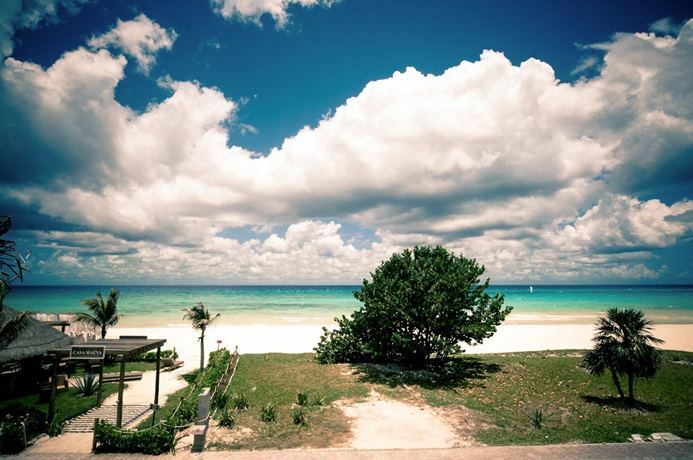 There is a 3 night minimum stay year-round, except for Christmas/New Years when there is a 7 night minimum stay.